Complete Guide to Snapchat Advertising #infographic ~ Visualistan '+g+"
AdvertiseMint's Complete Guide to Snapchat Ad Targeting Offers A Focused Breakdown For Better Audience Targeting. Marketers are turning to Snapchat as a way of advertising to the network's extensive demographic of young users. 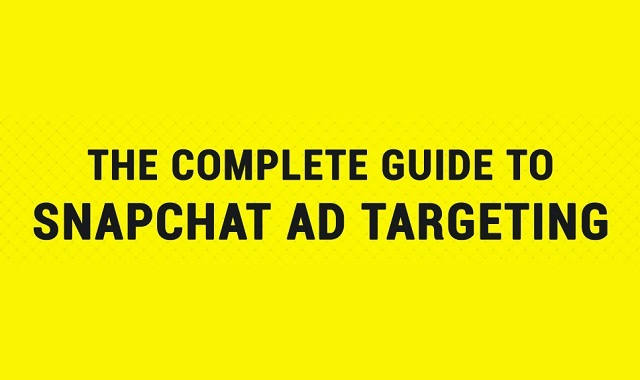 AdvertiseMint, a Snapchat Advertising Agency, offers this Complete Guide to Snapchat Ad Targeting to help advertisers improve their ad targeting across this booming social network. The guide offers a simple breakdown of audience categories based on Interests and Behaviors, including lifestyle, shoppers, visitors, viewers, demographics, and devices. Additionally, the guide details Snapchat's custom audience features. Feel free to share this guide on social media along with the hashtag #advertisemint. You may also post this guide on your website or blog; all we ask is that you include a link back to AdvertiseMint.com. For the latest Snapchat features, marketing tips and tricks or new tools, check out our Snapchat Advertising Blog.